Despite earlier reports to the contrary, USDA’s no-down-payment financing for people looking to buy a home in the Birmingham area will remain in effect after September 30th, 2013. USDA no-down-payment financing for people looking to buy homes in the Birmingham area will continue to be available after September 30th, despite earlier reports from the Agency that the popular loan program would wind down permanently at the end of the month. How long will USDA financing remain in effect? Not even the government—which administers the program—is saying. The loan program will “continue for some period,” according to Rich Davis, acting Administrator for USDA’s Rural Housing Service. 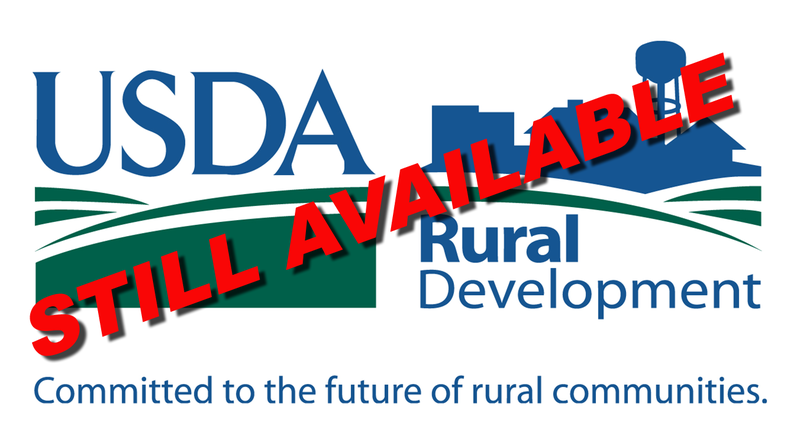 Many Buyers were concerned that loss of the program would reduce their chances of being able to buy a home in places in Shelby Co. including Chelsea and Calera, areas the government considers rural, and therefore eligible for USDA financing. In the meantime, a new 100% conventional loan program has been introduced, and which would be a back-up for some Buyers who had wanted to purchase with USDA financing. If you’re thinking of buying a home, figuring out what loan is best for your particular situation—whether it’s USDA or something else—can get confusing. Your best bet is to contact a Lender knowledgeable in the many loan programs that are available in the Birmingham and Shelby Co. area before you buy. Posted on September 29, 2013, in Real Estate and tagged birmingham, calera, chelsea, home for sale, homes for sale, keller williams realty metro south, loan, mortgage, no down payment, real estate agent, shelby county, usda. Bookmark the permalink. Leave a comment.